Listen to "The Greatest Salesman in the World" on your iOS and Android device. 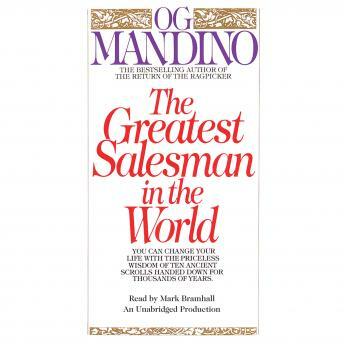 Become the best salesman you can be, just listen to the book guys!!!! I have read some of the best motivational books you can think of, books Think and grow rich, Rich dad poor dad, How to make friends and influence people, The richest man in Babilon Habits of most influential people .... But what makes this book my favorite is the way it encourages you to commit the whole book to your mind. I can't recommend this book enough.